If you’ve ever wondered just how low the Trump administration would stoop to screw over poor Americans, take notice of this new announcement by the Consumer Financial Protection Bureau (CFPB) that puts a stop to some reasonable and important payday loan regulations. For those of you who are fortunate enough to have never had to use a payday lender, allow me to first quickly explain how it works. Customers visit these shops to get money ahead of their next paycheck with the understanding that they’ll pay it back with interest once they’re paid in a couple weeks. That may sound simple, but the problem is that 80 percent of borrowers cannot pay back the amount within the short timeframe allocated, at which point the interest shoots up to something astronomical – we’re talking up to 400 percent interest over the span of a year, or as CNBC explains, 20 times the rate typical credit cards offer. Most borrowers take months to pay back their original loan, meaning they wind up owing more in interest than the amount of the original loan. Worse, most of these people wind up taking out more loans to cover the original ones, trapping them in a nonstop cycle of debt. WHAT DID THE CFPB DO – AND THEN NOT DO – ABOUT IT? 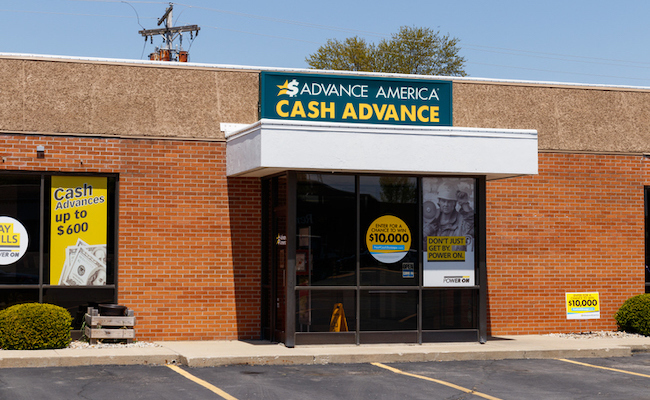 Previous CFPB director Richard Cordray, a Barack Obama appointee, tried to tackle this problem by developing a rule that blocked payday lenders from giving out cash advances to customers that couldn’t demonstrate an ability to pay that money back. Lenders were to check their salary, cost of rent and other debts to determine prompt repayment would be reasonable. However, the Trump administration swiftly interceded, putting a pause on the rules before they could take effect to allow themselves more time to investigate the matter. Only this week did the CFPB make a final decision to drop the rules together, saying it would burden consumers who need quick access to credit. That’s bad news for Americans falling on hard times financially, but hey, at least these companies can have an easier time exploiting them and profiting from their desperation! According to Pew Charitable Trusts, which has done a lot of research on this subject in recent years the regulations were already working. Although the rules hadn’t become law yet, many lenders had started making changes to comply ahead of time and the results were exactly as the agency originally intended: smarter, more reasonable lending was occurring and fewer consumers were getting trapped in debt. The Trump team did opt to keep one of the CFPB’s old rules, which limits the amount of times lenders can try to directly take money out of borrowers’ bank accounts. This limit is designed to prevent cash-strapped people from getting hit with overdraft fees they can’t afford. Even that rule, however, has been delayed even further, with it not scheduled to start until sometime in 2020. I did send a public statement to the CFPB about the plan to nullify the Obama-era rule mandating the "legal loan sharks" to confirm the borrower's ability to repay the loan. It's in the best interest of the sharks if the borrower can't pay on time, because the borrower gets deeper and deeper in debt to the sharks. Naturally I condemned the CFPB for not doing its job of protecting the best interests of the consumer. Mike and Sharon Kelly You're a troll. Never take one of these gougers to dinner. That's what you're doing when you borrow from them. "Screw over" is just not a strong enough statement for what Trump and his gang of thugs are doing to the people of this country.